The Standard Guide to Confederate Paper Money Field Edition 2014. 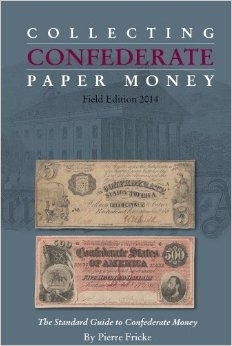 This is a must have book for Confederate Paper Money. This book will come in hard back format.